Amazon Web Services has made its first investment in a submarine cable project, looking to improve capacity on the global network connecting the data centers that host its cloud services. 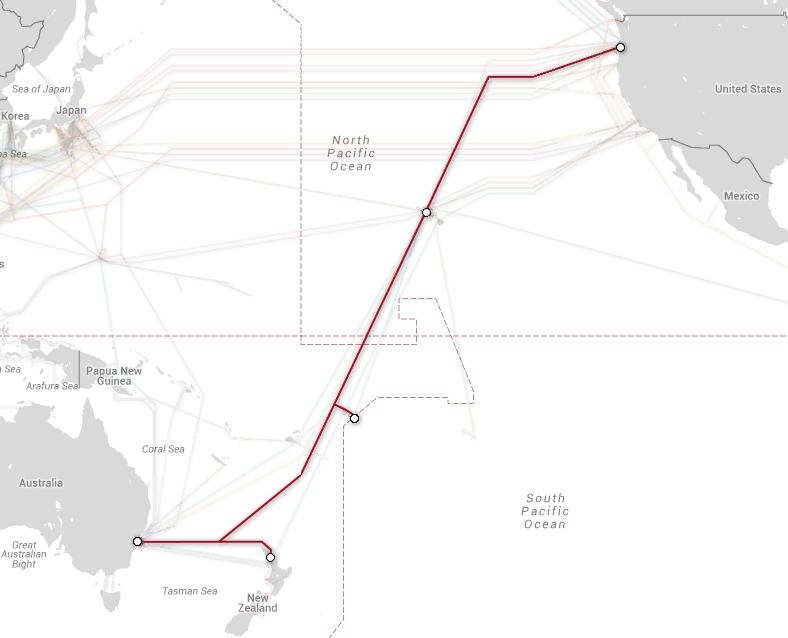 When the Hawaiki Submarine Cable comes online – target live date is in June 2018 – it will provide considerably more bandwidth between the US, Australia, and New Zealand than available today. The cable is expected to reduce latency for AWS users operating between these three countries. Amazon has agreed to become the cable’s fourth anchor customer, and its financial commitment provided the last bit of funding necessary to kick off the submarine construction project, a person familiar with the deal who wished to remain anonymous told Data Center Knowledge. 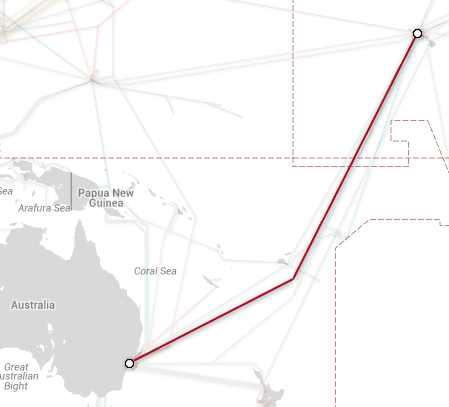 The 14,000-kilometer cable will provide a much welcomed third competitor to the two submarine cable systems on the US-Australia route today: Telstra Endeavour and Southern Cross Cable Network. Oregon's Pacific shore is an important place on the global connectivity map. A lot of transpacific network traffic enters the US through the high concentration of submarine cable landing stations in the Oregon towns of Hillsboro, Nedonna Beach, Warrenton, Pacific City, and Warrenton, from where it is carried south to data centers and carrier hotels in Silicon Valley and Los Angeles or inland. Because of this, there is a fairly large data center cluster in Hillsboro and the surrounding area. Amazon's US West cloud availability region is hosted in data centers in Oregon, as well as GovCloud, its dedicated cloud region for government agencies. Intercontinental connectivity is crucial to cloud service providers of Amazon’s caliber, who try to offer customers as many global location options for hosting their virtual infrastructure as possible. As more and more companies start using cloud services and the amount of data created and exchanged in general keeps growing rapidly, demand for this kind of connectivity is on the rise, and so is construction of submarine cables to address the demand. Amazon’s biggest rivals in the cloud services market, Google and Microsoft, have both made big investments in submarine cable construction projects. The Faster cable system, backed by Google and several Asian telecommunications and IT services companies, is expected to come online this year. Another big project is the New Cross Pacific Cable System, which is backed by Microsoft and a group of Asian telcos. NCP is expected to come online in 2017. Both will land in Oregon on the US side. 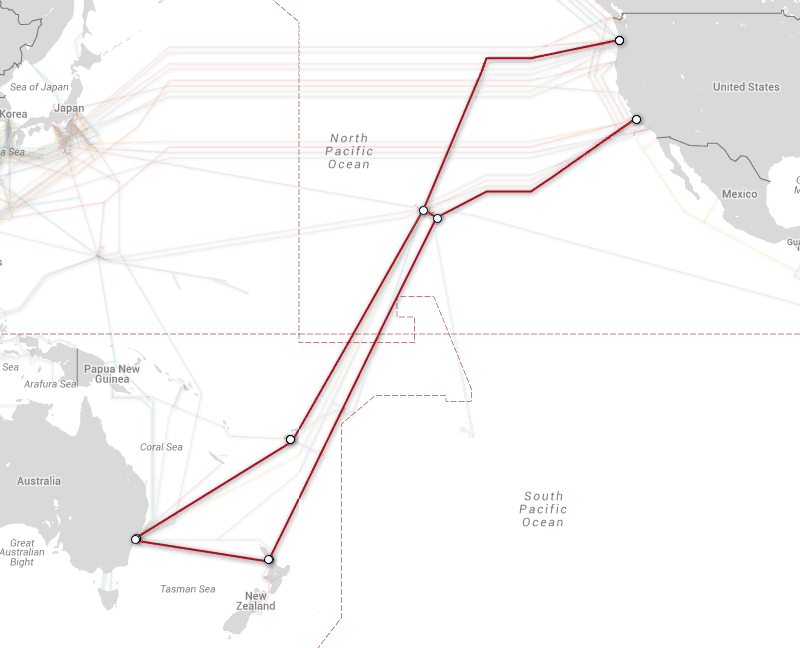 The three anchor customers of the Hawaiki cable besides Amazon are British telco Vodafone, REANNZ, a government-backed New Zealand research and education network, and the American Samoa Telecommunications Authority, the US territory’s government-owned incumbent carrier.